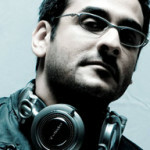 DJ Suketu has remixed a few tracks for the much-awaited movie ‘Aarakshan’. The film stars Amitabh Bachchan, Saif Ali Khan, Deepika Padukone, Prateik Babbar and Manoj Bajpai. Directed by Prakash Jha, it is a high voltage socio-political drama based on the caste-based reservations in government jobs and educational institutions. Like majority of Prakash Jha’s movies, it takes on issues about the society and political affairs of India.